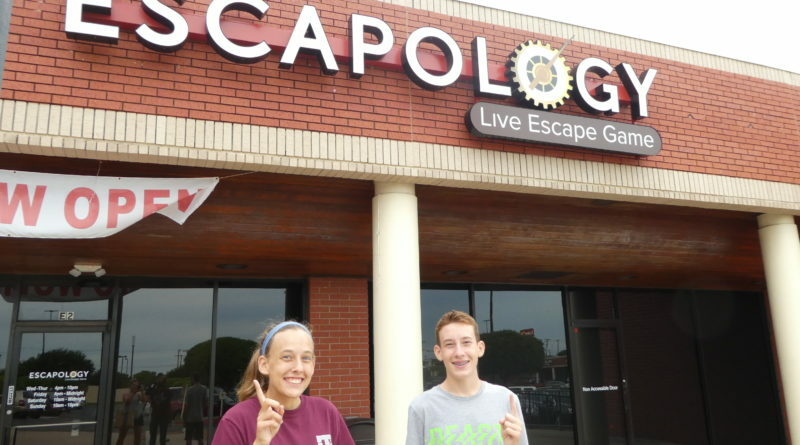 Round Rock welcomed it’s very first escape room, Escapology, last month. 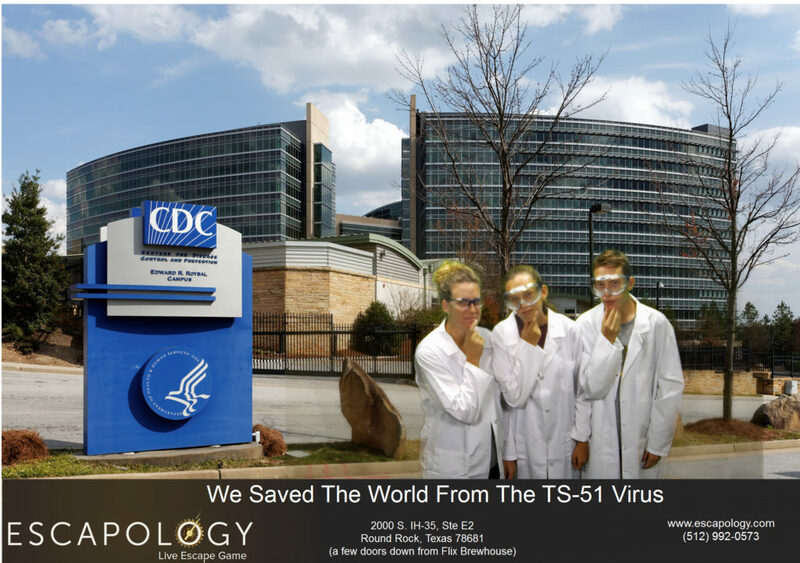 We tried it out with the entire family recently and here’s what we thought. 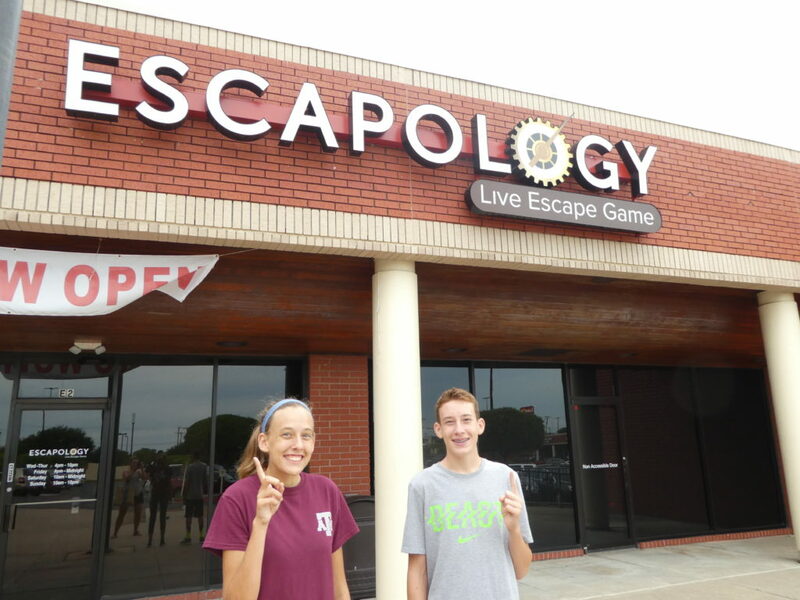 Escapology joins the new popular “escape rooms” here in the Central Texas area. Why exactly is an escape room? An escape room is a real-life team-based puzzle game, where you are locked in a room and have to solve puzzles together to get out. They are excellent team activities and can be really fun, especially if you like playing puzzle video games. 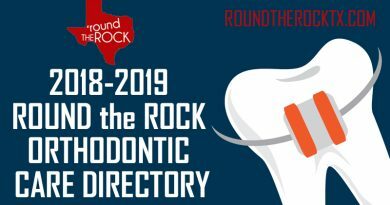 We have tried a few down in Austin, so we were thrilled to see one open up here in Round Rock. 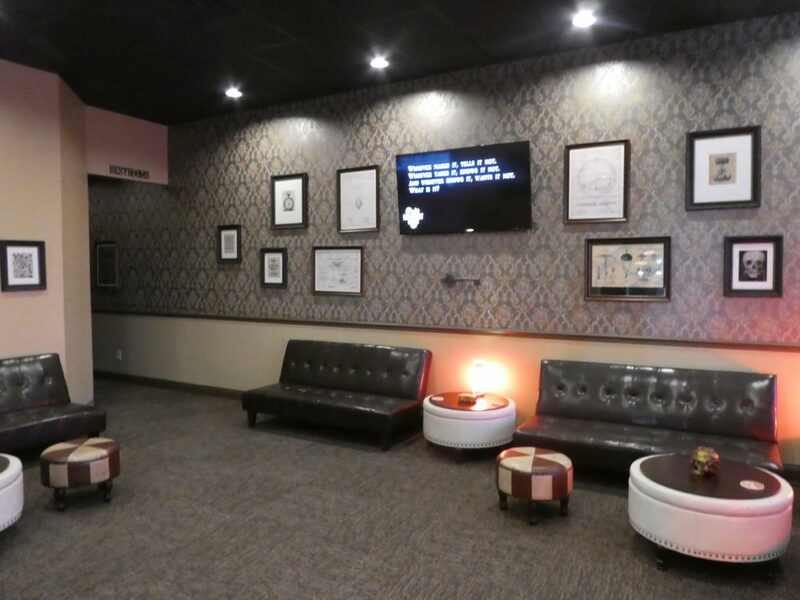 Escapology offers 3 rooms with a different game in each one. They are planning to open 2 more this fall. The games are ranked in difficulty and you have one hour to escape the room. And the games change yearly, so you won’t have to wait long to face a whole new set of puzzles. One thing we noticed right away was how well done everything was. The lobby was themed and the rooms were top-notch. Without giving anything away (I promised), the rooms are made up very well, with the puzzles being of high quality. We were in a science lab and it looked exactly like a science lab, with props and puzzles matching what you would find in a lab. The puzzles themselves were tricky – not impossible, but difficult enough that it took us exactly 59 minutes to escape. Escaped the Extinction Mission with One Minute to Spare! Going in a group is really fun, as everyone makes a contribution to the game. I was really impressed when my kids, 15 & 13, would totally figure out a puzzle. The adrenaline starts flowing and you all work together to get out. And if you get stuck, you can ask for a hint. I think that is really helpful, as the last thing you want to do is get so frustrated you are not enjoying it. And then at the end, you all gather to take a fun group picture, complete with props! 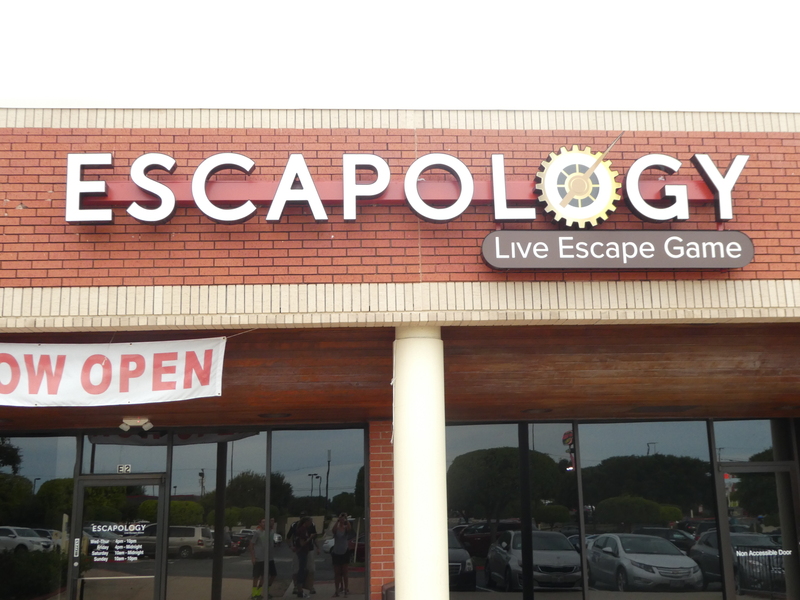 Anyone can enjoy Escapology – you don’t have to be totally into puzzles to be able to figure it out. The recommended ages are 7 and up, but honestly, I found the puzzles to be difficult so I can imagine my 7 year old would too. You can go in a big group, but the max they recommend to a room is 6 people, as any more gets a bit crowded and confusing. They do offer discounts for large groups, but you will be split into different rooms. Lastly, I think it’s completely affordable. The price is $28 per person. It makes for a fun date night with a group of friends, a gathering of teenagers, or even going as a family like we did. 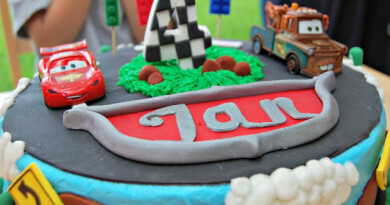 They also offer birthday party groups as well. 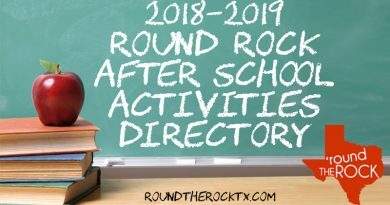 It’s terrific that more & more unique places like Escapology are moving into Round Rock. Let’s get out there and support them!